The Campaign Organization of Chief Emeka Ihedioha for Governorship has condemned in very strong terms the alleged deliberate disruption of the public debate for Governorship candidate of all political parties in the state organized by the Justice Development and Peace Commission (JDPC), Owerri Catholic Arch Diocese on Wednesday March 11, this year at Odenigbo pavilion of Maria Assumpta Cathedral Owerri which they claimed was caused by the state government and her agents. An action that has attracted public condemnation. 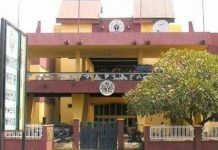 In a press release issued in Owerri after the fracas, which was signed by the Head Media and Publicity department of the outfit Chief Enyinnaya Onuegbu, the Organization stipulated and alleged that the development was executed by a gang of thugs brought into the arena with the APC branded vehicles led by some highly placed government functionaries which included the Secretary to the Government of Imo State (SGI), Prof. Gozie Anthony Anwuka, the Commissioner for Lands, Housing, Survery and Urban Development, Chief Uche Nwosu, the Commissioner for Information, High Chief Chidi Ibeh, the Commissioner for Works Mr. Uche Best Mbanaso and that of Youths and Sports, Mr. Kenneth Emelu who were physically present had directed the gang that unleashed mayhem on innocent people and the clergy who formed the audience. The release lamented that it was one of the Commissioner in the state who pushed down a priest, pulled down the podium and desecrated the alter in addition to destroying the progress of the programme. The release further recalled that the incumbent Governor, Chief Owelle Rochas Okorocha had participated in a similar debate on the same platform four years ago with the former governor, Chief Ikedi Ohakim without any hitch and wondered why he would resort to this style of brigandry and thuggery using his overzealous appointees re-iterating that this culture of violence is alien to the state. 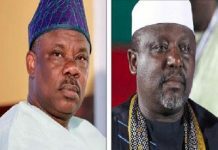 The people observed that while Imo People are known to enjoy robust political opinions and affiliations that the politicians had never disagreed to the point of introducing violence stating that it is unpardonable for Governor Okorocha to introduce state sponsored terrorism and Gestapo like attack on opponents and the people of the state. 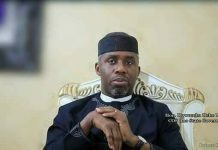 The release noted that the Governor had deliberately avoided a recent similar debate organized by the Christian Association off Nigeria (CAN), at all Saints Cathedral Egbu and that the disruption of the debate at Assumpta was a delibate attempt to be absent. 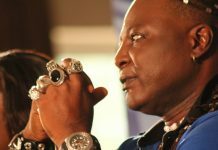 The Organization noted that it has become a usual occurrence to use illegal arms bearing members of the Imo Security Network to give covert thugs who attack political opponents and stated that while the riot was going on at Assumpta Cathederal, the Governor was busy parading Wetheral road Owerri in a road show boasting that he is the political and spiritual leader of Imo State as helpless school children were being used as cannon fodders. In view of this dangerous development, the Campaign Organization has called on the people to rise up against this “Mini Boko Haram” insurgence in the state and has also condemned the use of under aged school children as political crowd and has therefore advised both parents and teachers not to allow any wastage of these young ones who may be caught in a political cross fire in the case of a reprisal. Since they claim that nobody has a monopoly claim to violence. They appealed to the security agencies to wade into the matter and check the proliferation of fire arms by the agents of the government and in conclusion commended the authorities of the Archdiocese for the decorum exhibited in face of provocation by the platform for the candidates adding that Chief Emeka Ihedioha will still be willing to participate in any future programme.